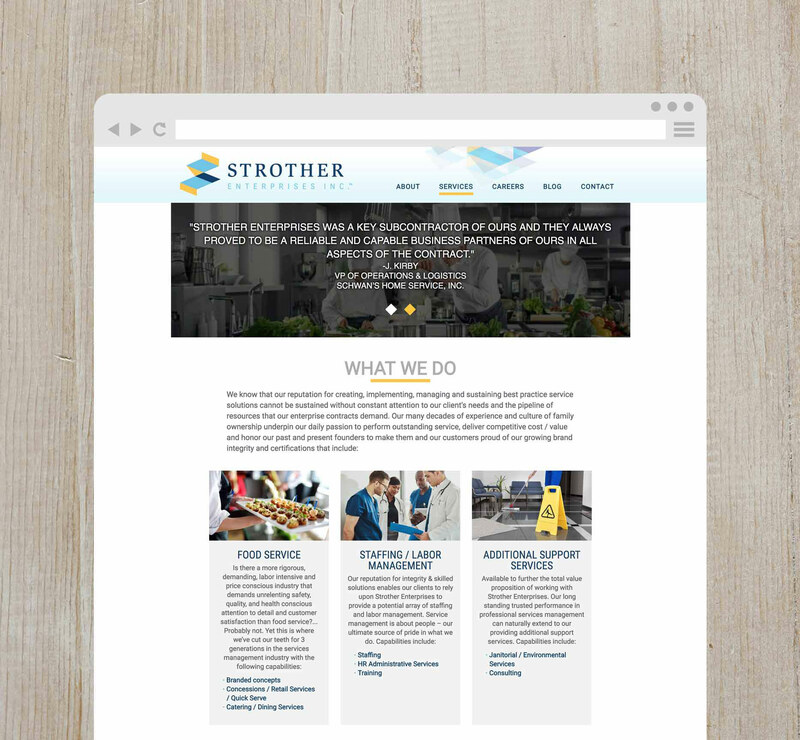 Strother Enterprises brings three decades of skilled, competitive, and socially responsible experience as a cross-industry food service provider and partner. They pride themselves on their ability to be a flexible partner to their clients as an experienced, family-owned company. They needed rebranding to reflect a professional, corporate, yet flexible organization. SSC worked with them through their 5-step visual identity process to produce a logo that is in the shape of an S, but looks like folded paper to show their versatility. 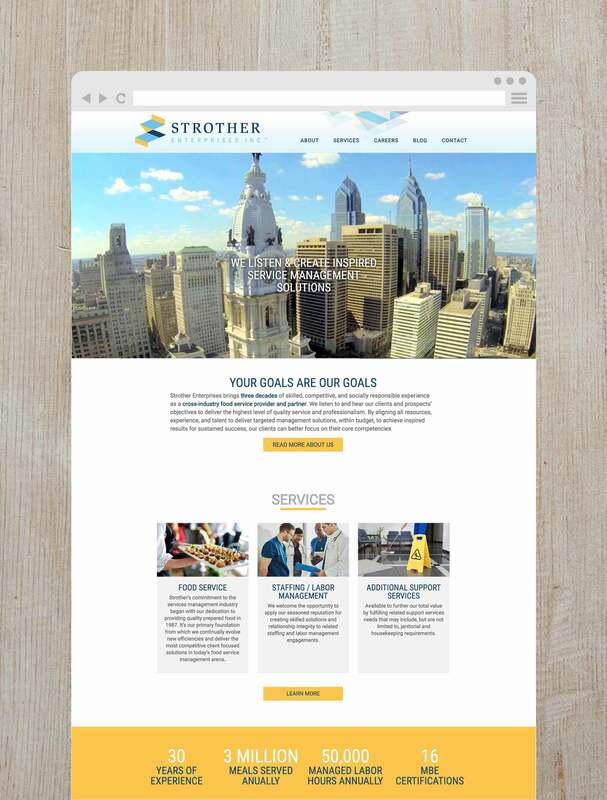 SSC created a custom WordPress website designed with the customer experience in mind, simplifying their complex offerings into a site that is easy to digest and includes a career center. Copy for the website was crafted by SSC.